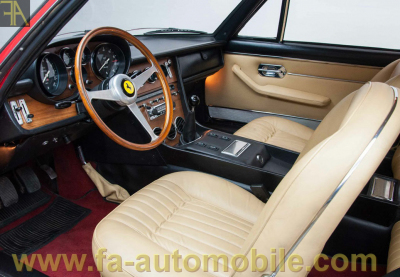 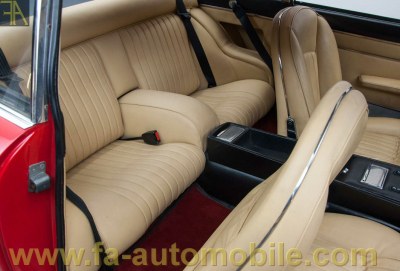 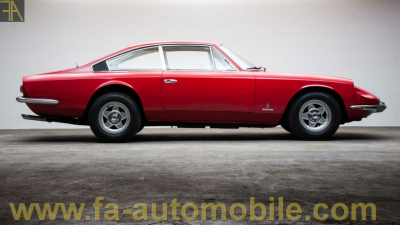 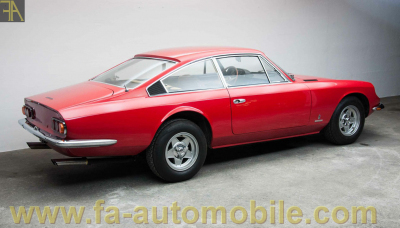 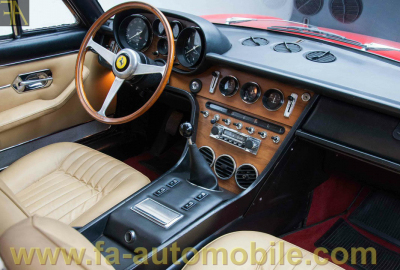 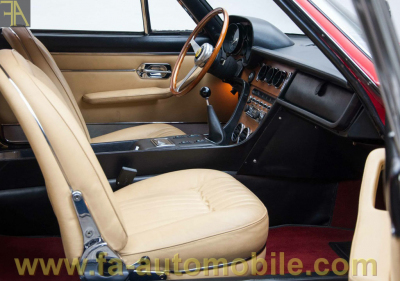 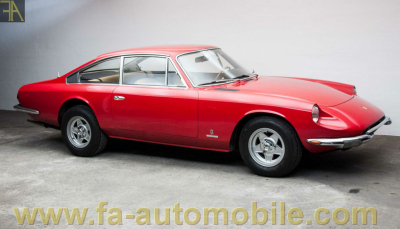 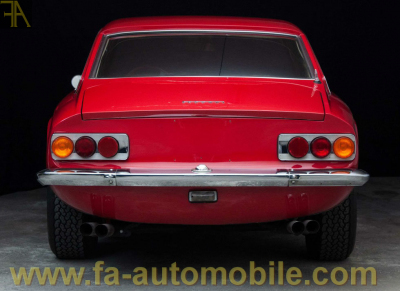 Very handsome 365 GT Queen Mary finished in red with beige hide to the interior. 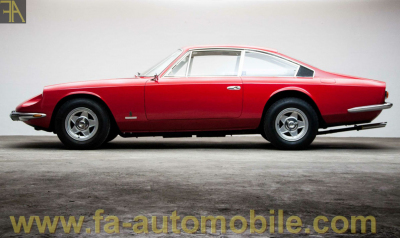 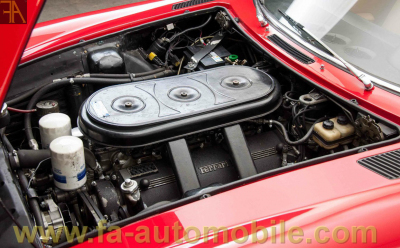 Equipped with the legendary and very strong and reliable V12 Colombo engine. 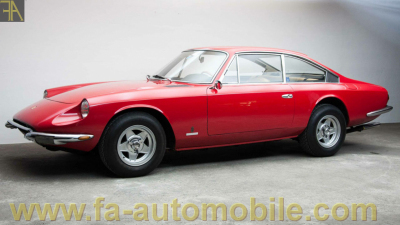 Matching numbers throughout, this car is documented and is a European example. 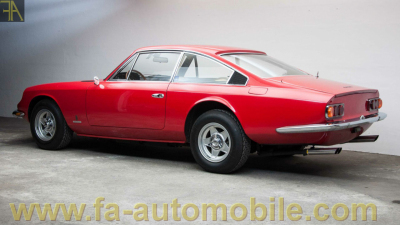 Only 800 units were produced by the factory. 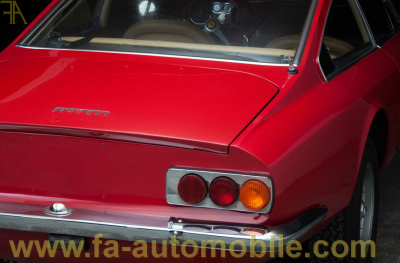 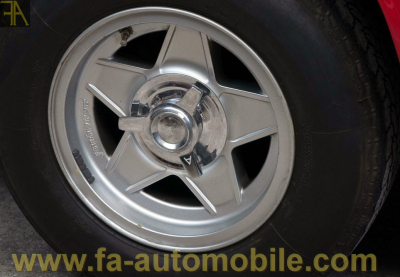 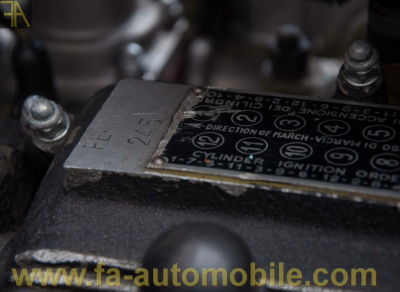 The car shows an older restoration giving a pleasant light patina to it and has received a thorough maintenance by German marque specialist over the last 7 years. 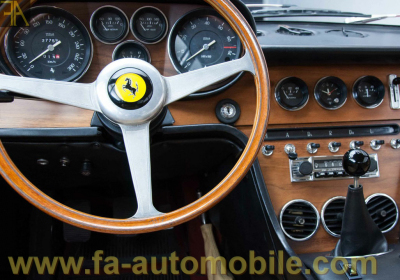 It starts on the button and is superbly tuned. 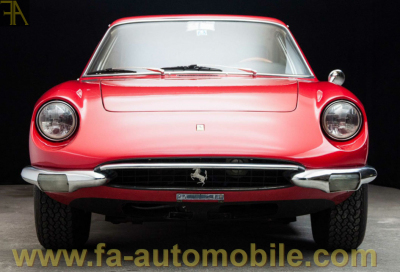 European papers, available immediately.